While I tried to open oracle form (The Oracle Forms Server is on a remote machine) I got an error message: SecurityException. sandbox – runs in the security sandbox and does not require additional permissions. 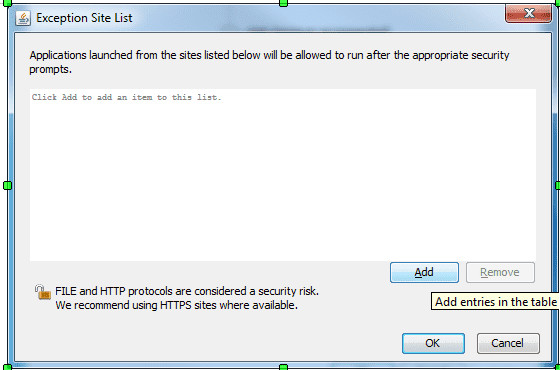 all-permissions – requires access to the user’s system resources. For more information, you can see Java Control Panel documentation.